17 April. I am so grateful today that my town girls got a real taste of country. Ok, a very stylish Sandi and Pete Olive farm taste of country but nonetheless. 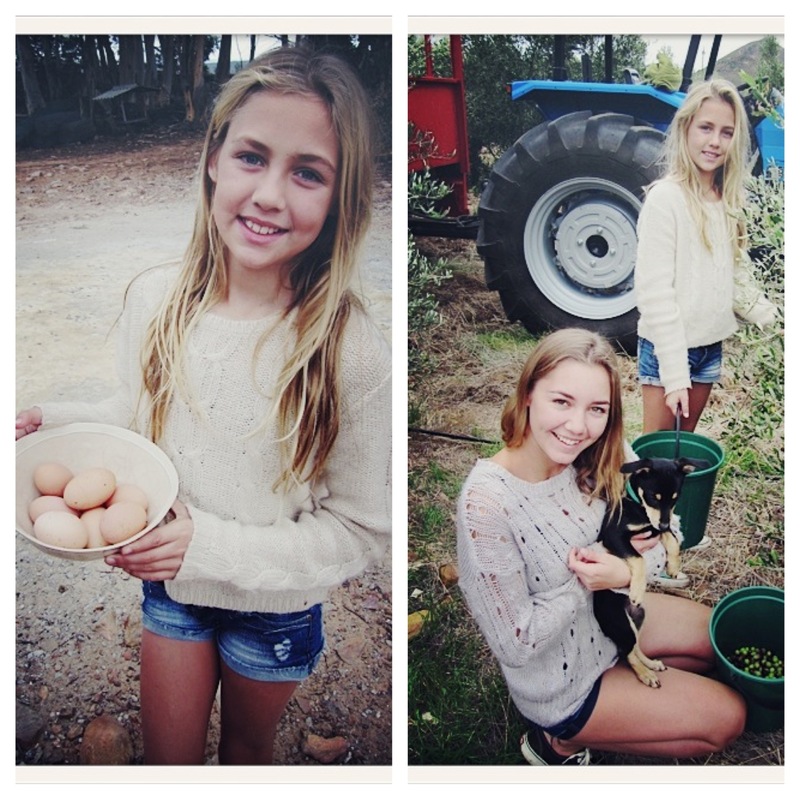 We had eggs for breakfast collected by Kate and Jem, amongst much screeching and much hilarity, they road on the back of the bakkie unrestrained down the farm roads, they picked olives,they got scratched, the played with the dogs, they got dirty, very very dirty, they went to the press, they tasted the first nectar as it was pressed, they helped empty the buckets and load the crates, they sat astride the tractor. They slept. This entry was posted in grateful posts 365 and tagged family, grateful, real by lianne cawood. Bookmark the permalink.